High Spec is one of the South coast's leading commercial window cleaners, covering four counties. We provide a professional service, tailor made to our Customer's needs. With our 20 years experience in the industry, High Spec has grown from strength to strength and we pride ourselves in quality and reliability. 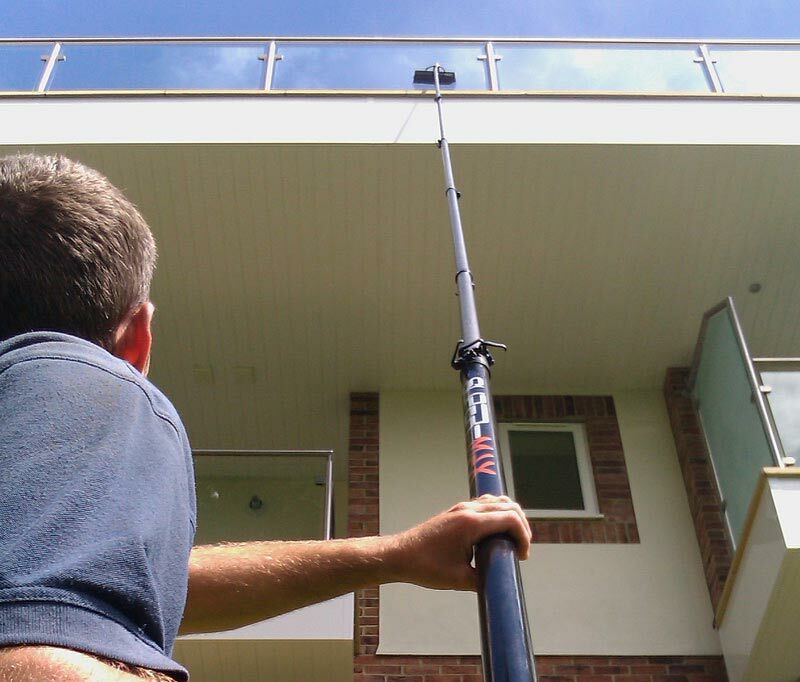 We carry out all aspects of exterior cleaning, including canopy cleaning, cladding cleaning and gutter and fascia cleaning. We use a wide variety of cleaning methods, including high level reach and wash system (up to 70') access platforms and cherry pickers, high level pressure washing and traditional window cleaning methods. High Spec Cleaning also provides a 24 hour service, in order to fulfil any Customers requirements for 'out of office hours' cleaning to be completed, prior to staff, customers or general public attendance. Covering Hampshire, Dorset and Wiltshire, including Bournemouth, Salisbury, Southampton, Poole, Christchurch, Ringwood, Fordingbridge, Ferndown and the surrounding areas. Copyright © 2018 High Spec Commercial. Window Cleaning. All rights reserved.